Our Unique Home, Stunning View, But Difficult To Furnish! I couldn’t help but laugh to myself this morning when I was reading your blog post. Why? Because my house ALSO makes me pull my hair out; or, at least, twirl it a lot while in deep tail-chasing thought. Our house is a custom-built mid-century colonial whatever that means. But, it’s certainly different. I’ve never met anyone else with a house anything like this. And, everyone who visits says, “wow, this is certainly a unique home.” I can’t always tell if they are just trying to be tactful, but really feel that it’s horrendous. Below is my drawing of the living/dining areas that is causing sleepless nights. From the outside, the house looks like a ranch with colonial-styling in the middle. And then, once you walk in, you see through to the backyard with gorgeous woods and hills—24 feet of window! Yes, it’s gorgeous! It’s impossible to not fall in love with the view; hence, why we bought the house. Now, thinking back, just like you mentioned, with your home, it was empty. But, we were smitten and so, we bought the house, moved in and it is only now that we realize that this unique home with the gorgeous view is impossible to furnish! Let’s begin with the mind-boggling living room. The living room has, not one but three focal points with very little usable wall space. The aforementioned 24 foot wall of window is actually a 10 foot center slider door to the deck, flanked by windows 18 inches off the floor. On the opposite side of the room is a massive wall of fireplace with a hearth that sticks up and out 18 inches. Plus, the room is only 12 feet deep and if I remember correctly we need to keep 36 inches for a path in front of the hearth. That leaves only nine feet for seating. Is that another three feet? Well, now we have only six feet for furniture. I’ll stop you right there for a sec. Since egress to the deck is the only necessity and not even all year round, two feet is satisfactory. I’m presuming that no one needs wheel chair access. Therefore, you have seven feet for seating depth-wise. There are only two walls available for a TV and I am steadfastly refusing to put it over the fireplace. But one wall, where the large piece of artwork extends beyond into the entryway, so that location is not an option. I don’t want people to see the side/back of the TV when they walk in. Therefore, the only other possibility is to put it on the eight foot long wall on the left, as you walk in from the dining room. But, where to put the furniture? Which way does it go? The room is soooooooo long and narrow, and then trying to leave a 36″ for a walkway, plus two entrances, a sliding door out to the patio, and windows that leave no good space under them. Are you seeing my problem yet? Yes, I see the issues clearly. They have not made it easy for you. I know, I know… poor me with the beautiful view, but this room drives me crazy! And, we haven’t even started with the dining room issues. So, let’s go over there now. While we are blessed to have a home with three fireplaces, the one in our dining room is in fact a nightmare. Even our mason had never seen a fireplace like it. It’s on the angled wall (Who does that?) Then, as you can see, the opening is off-center and to round-out the bizarre, there is this most peculiar, half-circular, tiered brick hearth cantilevered out from the wall. Oh dear. That’s pretty bad. While I love many things about our unique home, that is one issue I would be very happy to solve. Next up in our den of the unusual is a five foot (of course, load-bearing) wall that breaks into the dining room like a cheese wedge. Are you still with me, Laurel? Oh, and then the ceiling changes height from 10′ to 8′ where you see that faint pen line. How on earth do you make this look close to normal? I’ve tried to put a seating area near the fireplace, but then a dining table doesn’t really fit. And, it cuts off the walkway to the bathroom/laundry. Arrrggghhh! Of course, we need a dining room table. But, even with a normal-sized table, there’s an awkward amount of space at the other end of the room. I think that actually looks rather nice. I can’t even imagine how many emails you get, [you got that one right] :] and I am in NO WAY asking for free help. But, you asked for difficult, and THIS, Laurel is difficult. Happy viewing! I hate all my living room furniture :o) It was purchased years ago for our previous condo, and since we can’t figure out how to lay out these rooms, it seems silly to buy anything else without a plan. The sofa is actually apartment sized. And the toys and play table – they are hopefully being banished to the playroom soon! Hi Everyone. Welcome to another installment of “difficult house layout.” I chose Kristen’s home this week because it is definitely one of the worst layouts I’ve ever seen. It is apparent that little if any thought was given to furniture placement and a lot of other things when this home was designed. But thank you Kristen, for the floor plan and photos. I have a lot of ideas that I think will help make this unique home work better for your young family. Before I get started. I did not interview Kristen and therefore, may not be addressing everything correctly. And, not to sound like some lame disclaimer, but this is not a substitute for professional advice. I am going off of Kristen’s measurements. Something I would never do for a real job. There are lots of things I can’t see. Mostly, this is an exercise to show what’s possible, get us thinking in new and different directions, minimize mistakes and correct some other things to make this place a show-stopper. The potential is definitely there! One, thing that struck me that I didn’t comment on earlier is the term Mid-century colonial. If there IS such a thing, it’s not a term I would apply to Kristen’s home. Think, Leave it to Beaver. THAT home is what I would call mid-century colonial. Awwww… brings such a smile to my face! Kristen’s home may have a few Colonial or Federal features, however, from what I can see MCC is not the correct designation. This unique home is 90% mid-century modern in styling; with some rusticity which is appropriate for the beautiful wooded setting. The other 10% might be more trad, but over-all, this is a modern home. Okay, we need to move on because there’s a lot to cover. Let’s bring that floor plan back down. One thing, I believe that we talked about is what to do when NOTHING is working. Try stepping away and pretend that you are seeing these spaces for the first time and there is no furniture in any of the rooms. We have a kitchen surrounded by two living areas. There is a too-long skinny living room. And, we have a too big, awkward dining area. Here are my ideas and floor plan for this unique home. Please bear in mind, that there are other options, but this is good for starters. What if we moved your dining area to the entry hallway side of the living room? I’ll let you chew on that one for a sec because I know that’s a big one to digest. How lovely to be able to dine and take in the view. I would get a round table that extends to be able to accommodate 4-8. But Laurel, I need to interrupt you. Two or three times a year, we need to be able to host holidays and might need to seat up to 14 at one table, if possible. Yes, of course. I’ve got you covered. I’m hearing that you would really love to get the TV out of the living room. Or at least not make it the main TV viewing area. And that is because the “dining room” is going to be your brand new family room! In fact, when I first saw these images, I thought, why is this big room the dining room? But, here’s what we can do. When you have a crowd for a holiday meal. Use the sofa for the middle of the table area. I would get some sort of cover for it. Pile the kids on it. They will love it. If my kids were sitting there, they would be leaping over the table to get out. Stick the coffee table in a corner. Use the small club chairs as host chairs. And the end tables wherever they will fit but out-of-the-way. Now, you can host loads of people in this multi-purpose room. For the living room, I put in a small sectional. It does not have to be a sectional, but I think that it will make a nice room divider. The main focal point IS the fireplace. At night, you can’t see outside, anyway. But you will still see the view, in any case. If you like, you can still have a TV over a cabinet. The rest of the issues I’ve noticed are elements that I think are not helping. And, I realize that these rooms are not finished in any way and that Kristen is using what she has. Also, I’m presuming that some things were there before she got there. One of the most offensive things is the fireplace in the current dining room. Can we get rid of it? Please talk to your mason. You don’t have to bomb the entire thing and I’m fine with a brick wall. It’s weird and using up valuable space. I’m not going to address the specific furniture, but please do not overlap windows and furniture. (or doorways and furniture) I’m sure that you know that but didn’t have anywhere else to put the cabinet. I’m just mentioning it as a reminder for all of us. I actually like the little bar area and think that’s a very clever use of the space. It’s reminding me of Tara Sharma’s pretty bar area from this post from a while back. I would really love to see the white not be here, above the beams. The best solution, I think, is to paint that area the same as the walls. Kitchen cabinets. I don’t know what your plans are, but I see a rich khaki color, not white for this kitchen. That’s with the current color-scheme. If that changes, then yes, please do what works best for the new colors. And it’s not overlapping furniture walls and cabinets, this time. We need to take care of that AC. Here’s an idea I discovered and I LOVE it! The style of this piece while very pretty is not right for Kristen’s home, but the idea is wonderful, I think. Kristen would need a full-size piece to go over the air conditioner. If the outlet could be moved so that it is all contained inside the unit, even better! I feel that the fireplace area isn’t quite working. First, I would paint everything one color. Yes, paint the brick too. The niches are challenging. I’ve always thought so. But I would go with less is more here. I think that there are too many disparate elements. I do love the large lanterns or whatever they are. I’m not sure what’s inside them. I think it would be cool if they lit up, somehow. Ideally, I think that there should be one piece of art over the mantel. Or one mirror. 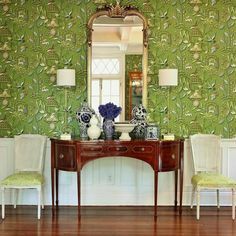 A non-fussy mirror would be great to reflect the view. And, I would probably not do the pillows, or maybe just two on each side. Right now, they’re a little too lined up and perhaps a little close to the firebox. I do love the art wall on this wall. Although there’s no crown moulding, the drapes are still hung too low. They should go up at least six inches, ideally. However, then they will be too short. This isn’t the worst thing, to keep them where they are, but raising them will elevate the room. For more about professional looking draperies, please check out this post. If these are new, then forget I said that. :] If Kristen wants to use these drapes and raise the bar– haha. Fine rod; then, a contrast hem could be added. Or rather, a plain linen in the background color. Since the sill is at 18 inches, then the hem should be about that height. It will look smashing. One thing that’s bringing down this room, is the wall-to-wall carpet. It’s lacking in the sophisticated style, that I know Kristen wants. I would put in a hardwood floor in to coordinate with the family room, if there isn’t one already. Then I would do one area rug for the seating area and if desired, another one for the dining area. Sea grass might be a great choice. On the one long wall where there’s a piece of art, I think that an art wall with multiple pieces would be better. Right now, this piece is calling too much attention to itself and it’s fighting with the show-stopper behind the glass. That’s only my opinion. Art is subjective and it’s one thing I’ve always let my clients take care of, unless they want my help. Well, those are my main suggestions. Like I said, I think that there’s a tremendous amount of potential. And, I still think that it is best to work with a professional designer, but for now, we can see that it’s not at all hopeless! There are a lot of design lessons in these posts; not just the difficult floor plans! PS: If you’re interested, please check out the hot sales pages. Some sales are ending tonight. Not that my two cents really matter but I do feel like in her case she should hire someone to help her. It doesn’t look like she knows where she wants to go style or color wise. The dining room is dark warm colors and the living room is light with gray walls. I don’t feel like they belong together. I think she needs to find a color palette she likes that works with the wood floors and stick with it. I love blues and grays but for her house I love the dark warm colors. I really like the rug she has in the dining room. When you look through to the living and Kitchen the white just looks so off. I think the colors Frank Lloyed Wright used in the Meyer may house would look nice in her home. Oh, Kristen definitely knows what SHE wants. I don’t expect everyone to read every word of the post or the comments, but uhh… there’s a husband that she’s trying to please and also furniture that’s from another home. Plus, what was already there. And right now, that’s what you’re seeing. However, this is an excellent point. People want to compromise and meld styles, but sometimes that doesn’t work so well and then you get things like driftwood and fishing ropes next to blue and white Chinoiserie porcelain and the styles are too disparate. So, if he wants a hunting lodge and she wants Windsor Castle, how do you meet in the middle? That’s another challenge, for sure! But, this exercise was largely about the layout. Gosh you make it look so easy! We know it’s not remotely easy. Laurel what I love about your posts is how your real love for design comes thru. It’s infectious. This one was an educational tour-de-force. Laurel, love your web site! You have so many interesting posts! Very ingenious and charming layout! I have two questions, is there a way of having a more direct view to the woods from the living room? Maybe opening the sectional? Thank you Kristen too! Great design lessons! The niches on either side of the current living room fireplace would also be great for shelves….pardon me if that suggestion has been given already! Also, the wall with the “unique” fireplace–if the homeowner does consider removing it, maybe go all the way and see if there is a way to straighten the wall altogether. It might mean blocking off the fireplace. In fact, I wonder if you could just build a new wall–drywall not brick– in front that will be straight for the room. Might be cheaper than redoing the brick fireplace. Also it could potentially be another option for a tv wall, and you could see it from the kitchen too. Just an idea….a friend had a similar issue and just blocked off the whole fireplace. Laurel, I love this series you are doing with difficult rooms. This was my favorite so far and I agree with the other commenters that it will be awesome to see after photos. I found your blog about 3 years ago when I was googling “best white trim colors” after failing on my own/trying about a dozen whites (and sure enough Cotton Balls was what I needed). I have been following your blog ever since. 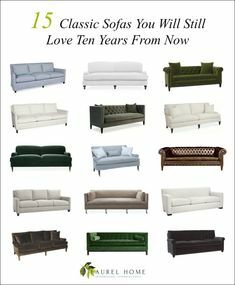 What I really love is that you have instilled a love and understanding of classic design that I was missing from other design/diy blogs that I followed. I still like seeing what they do in rooms, but if I have to make a decision in my own home, it is your advice I follow 100% of the time. Thank you for blogging and for sharing your opinion on real-life homes! 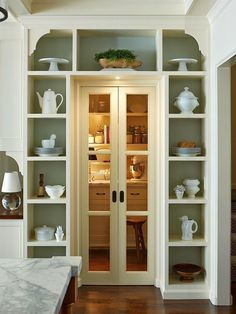 That’s a great idea about shelves or a shelf in the alcoves. this post and your solutions were terrific….lots to unpick there!! Laurel, I always read every word of your blog and enjoy it (and learn from it) so much! Kristen, thank you for sharing your photos to give us an opportunity to learn. I think the suggestions from a Laurel are right on point for your home. Thank you, everyone – all of your comments are so lovely… and I totally agree, Laurel is awesome! She nailed my floor plan and I’m already seeing my house differently. I’ve been moving some things around this morning and loving it. My husband and I loved all of the suggestions. We finally feel like there is hope for our house! For most of the year, we usually keep that awkward, overlapping bookcase in front of the air conditioner unit to hide it. We squeeze it into to that little space in the summer. It’s thankfully moving back next week. The kitchen cabinets were knotty pine when we moved in and we painted them BM Revere Pewter. Large renovations with two little ones under 5 was not an option! Laurel! I am so excited. I actually thought some of the same things you did. You are finally getting me to see the way of things oh great mentor. Maybe there is hope for me ( and the rest of us who are design clueless) yet. Laurel, I really like your suggestions and especially swapping the living and dining areas. I love stalking Zillow and redesigning houses in my head. It’s my kind of fun. Ha! Anyhow, I’m always struck by how people will cram their dining table and thus, family, into these tiny “dining rooms” because that’s what the builder said the room was supposed to be, meanwhile they have a much larger formal living room (you know no one is using) off the other side of the kitchen complete with a fireplace, etc. Why not put the dining table in the fireplace room and give people room to pull their chair out all the way?! Great post! Thanks for the “reveal” Kristen. If you try Laurel’s sage advice I bet you’ll love it. When I read potty trained … my design priority shifted to where’s the baby mode. If your family area is relocated to the open kitchen side – where’s the baby? 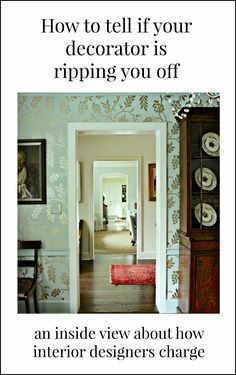 — right there:) in the cozy keeping room. Anchoring the front entrance sight line with a sane space dining table that can almost always look nice is a bonus that can’t be over estimated. Plus, it lets you pretend elves are cleaning the kitchen chaos while you’re dining with a view and a fireplace. This is your best post ever. Lots of problems and BOOM–fixes! Your home has a such a gorgeous setting which must bring you great joy. Laurel has made terrific and user-friendly suggestions for helping you transform the layout to satisfy the needs and enjoyment of your home for your young family. She has such amazing ideas! I would switch the dining room table to the the opposite side of the living room, to be closer to the kitchen area and also, the new family room. The view from the front doorway would then be fully focused on the living room where several sofas and/or chairs, placed perpendicular to the windows, could take better advantage of the VIEW as well as the cosiness of the fireplace. Best wishes as you pursue your dream. Hello Kristen, wanted to throw in my two cents…I love, love Laurel’s suggestion to swap the LR and DR areas. Genius. Makes perfect sense to have your family room right off the kitchen. My comment is about the cantilever fireplace…is this a wood burning oven, like a pizza oven? Perhaps that is why there is a brick “shelf” thingy. Long-time reader, first time commenting. Love Laurel’s guidance. You are headed in the right direction. Great instincts! Kristen, I have this house but in New England, Maine style, so I’ll be following comments. We had pine railroad panelling, light pine stain, on all the walls of a 1930s cottage. Pulled out upper half, added a chair rail, put wall board in above rail, painted the walls white. No wall-to-wall carpeting (I have ripped that stuff up before, wear a dust mask), just dark-stained yet beautiful wide-plank floors. We sanded the floors a bit to remove stain and sealed. Brought up an old Oriental to cover the floors. I know not everyone has an old rug lying around, but this was threadbare. Relatively easy to find at low cost these days on FB and CL (even the dump!) when everyone has seagrass. Not that I don’t love seagrass. I grew up with it. Our fireplace is smack in the middle of everything, so we made it a focal point. a mid Swedish blue. Suddenly there was light in the house. Room layouts were difficult because of the fireplace placement. It’s a cottage on the coast, built for water views. Everything in the cottage is oriented around the view to the sea. We banished the TV but eventually were forced to put one in – a small one on an inner wall. That was 15 years ago. Now it’s time to take another look, so I wish you well, and hope to hear more of your work in progress. All the best in your adventure. Thank you so much for such a lovely comment. Hope that you’ll be back soon! I didn’t say this, but this house is in Connecticut. So, it’s also New England even though the house is not indicative of that. It sounds like it wanted to be, but forces beyond its control intervened. haha.